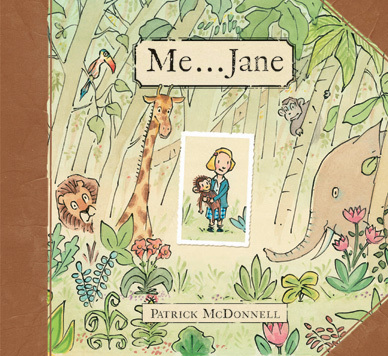 March’s book pick is Me…Jane by Patrick McDonnell. Based on the life of Jane Goodall, this book is a good choice for anyone looking for an inspiring biography for a child. It is also a winner with an animal afictionado, like our four-year-old. Reading the book has reaffirmed his interest in traveling to Africa to see some of his favorite animals in their natural habitat and inspired him to create “The Crocodile Society,” which sounds like a spinoff of the Alligator Society mentioned. The author’s illustrations are complemented by two pages of Goodall’s childhood drawings and a photo of her at the Gombe Stream Game Reserve in Tanzania. There is also a message from Jane at the end. I have seen the book and think it is alright.